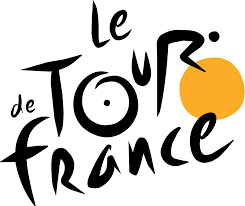 Morzine is getting ready to host the final mountain stage of the Tour de France on Saturday 23rd July. This stage is often where the Tour is won or lost, with plenty of exhausting climbs and nail biting descents. The Tour comes to Morzine around once every three years and it is always a huge event, this year the town is hoping to make the best ever! The stage will start in Megève and will include 4 climbs of over 1500m along the 146km route. The riders will arrive in Morzine from the Col de Joux-Plane. The route then takes them through the town to cross the finish line on the square in front of the Tourist Office. Stand out from the crowd by getting dressed up or making a banner – you might as well get on TV if you’ve come all this way! Plan where you are going to watch the race – there will be information on the days leading up to the event on road closures etc. and you can download a time schedule from the Tour website www.letour.fr so you know exactly when the riders will pass. Dont be shy – the caravan parade comes before the riders and includes all the sponsors floats. They throw out free stuff as they go to those that shout and wave the most. So don’t be all stiff upper lipped – get in there and bag some swag! Find a place to watch the rest of the race on TV – the riders flash past about 40mph depending on where you are. It’s very exciting but doesn’t actually last that long, so you need to know where you are going to carry on the party – preferably a bar with a big screen!